Even those of us who are passionate about landscaping and gardening can be equally passionate about saving time and money doing it. 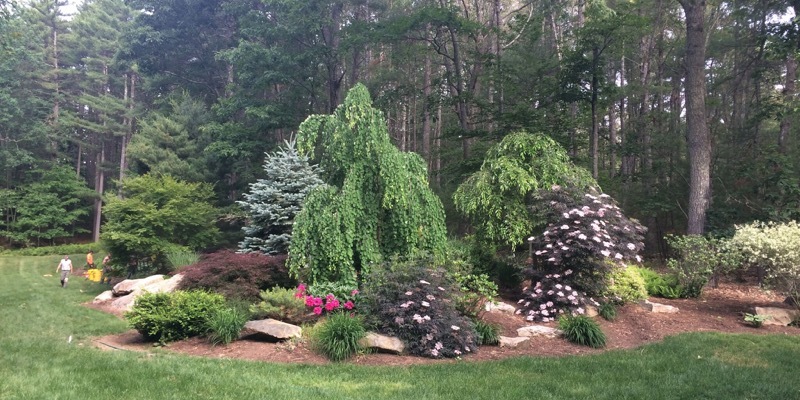 Minimizing effort and expense on your landscaping chores is all about knowing the best times to perform certain tasks around your gardens and lawn. Whether it’s maintenance or planning or installing – understanding the seasons is key for making sure you time your work so that it’s cost- and time-effective. Everybody loves a beautiful landscape but who really loves taking care of it? If you’re a homeowner who envies a gorgeous landscape design but dreads the idea of having to take care of one yourself, take heart – we’ll show you how to achieve the landscaping of your dreams with minimal maintenance. Most people realize that “low maintenance” does not mean “no maintenance.” All landscapes requires some kind of care, but with a little planning and insight, maintenance can be minimized. A simple, irrefutable fact of nature is that nature abhors a vacuum – that is, nature likes to fill in open spaces with plants. So any homeowner who takes a completely hands-off approach will find their property filling in with whatever plants happen to like their property’s environment. This is something ecologists call “succession” -- a term that is used to describe the successive process of plant establishment and growth over time. For example, shrubs and weedy growth will be the first plants to establish themselves in an untouched meadow, followed by fast-growing evergreens and other softwoods that eventually are replaced by hardwoods. The meadow, over time, turns into mature forest, known as a climax community.